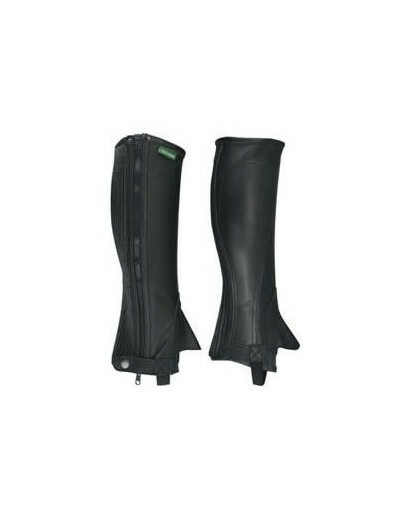 Riding chaps and gaiters available from ELT Paris, Celtic Equine, Horze, Equitheme, Shires and Gallop. Chaps and gaiters for all price ranges that can be delivered worldwide. Chaps There are 8 products. 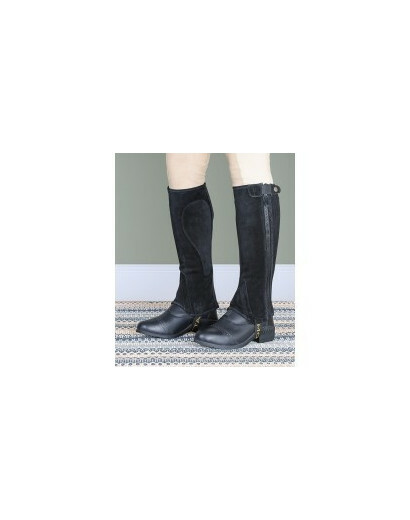 The ultimate for comfort riding, these Super Soft half chaps are stylishly made from prime quality grained leather; with elasticized calf sections for comfortable fit. They also have an extra reinforced inside calf layer, and a double elastic stirrup strap to help keep the chaps in the correct place. Zip closure with popper enhancements at top and bottom. These chaps have the look and feel of real leather. These quality chaps look like real leather but are actually an easy-to-care-for stretchy, firm synthetic material. They clean up in a snap while still providing the custom look you want. 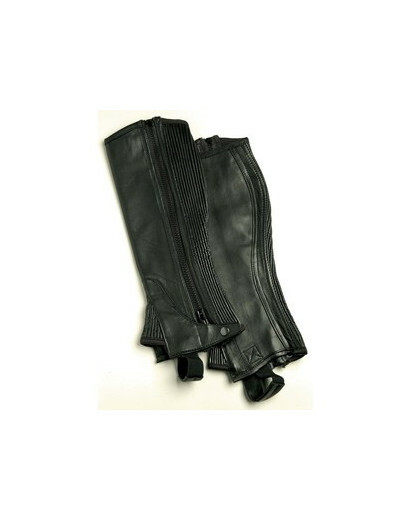 Fine leather gaiters with synthetic suede lining for comfort and durability. Stylish dressage cut tops feature, and covered elastic leg inserts provide the perfect fit. 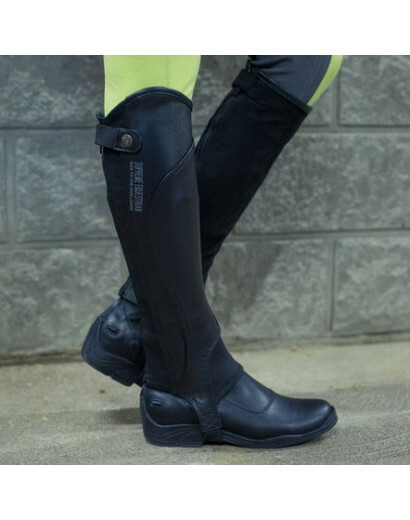 Inner leg padding for wearable comfort, strong zips with upper press stud fastenings and stretch foot stirrups for security. 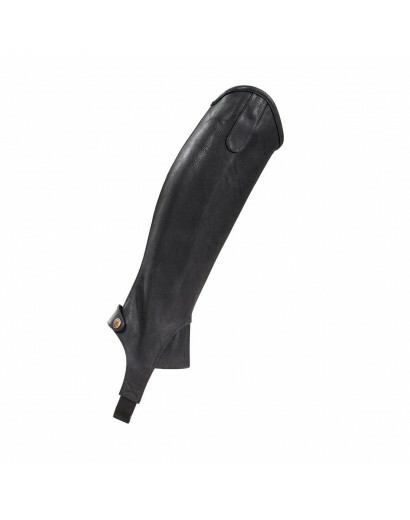 Easy-care Saxon Equileather™ Half Chaps look and feel like leather. Just wipe them clean to restore their original luster. 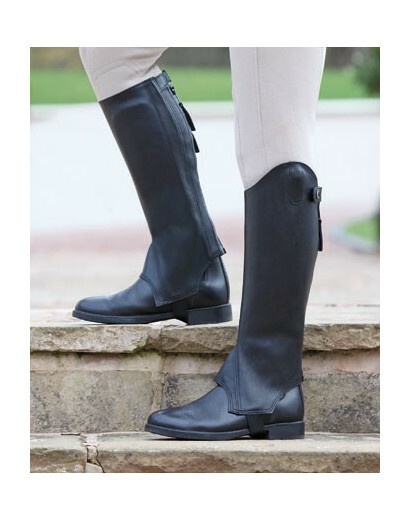 These synthetic leather half chaps are styled with a Spanish cut top, durable YKK® zipper and an elastic panel that allows it to hug your calf. 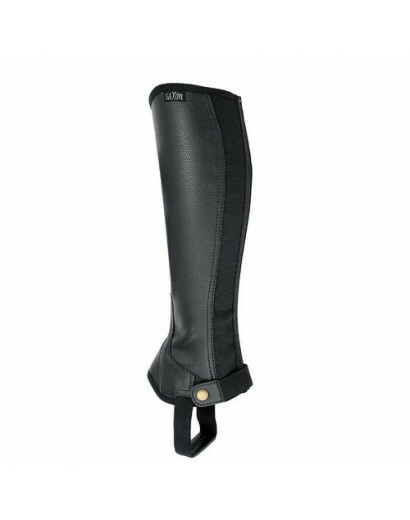 Durable, supple suede half chaps with reinforced inner calves and shaping for a neat fit. 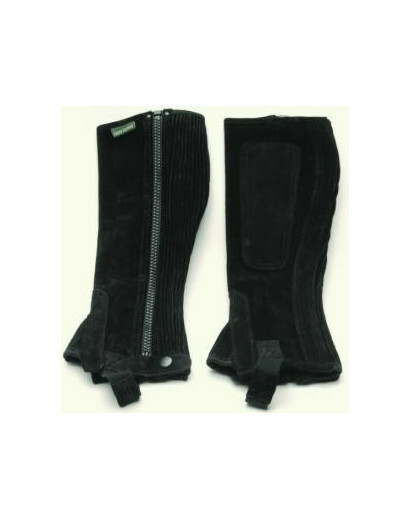 Suede covered elastic full length inserts, full length zips, elastic foot stirrups, stretch zip tidy straps, bound edges.